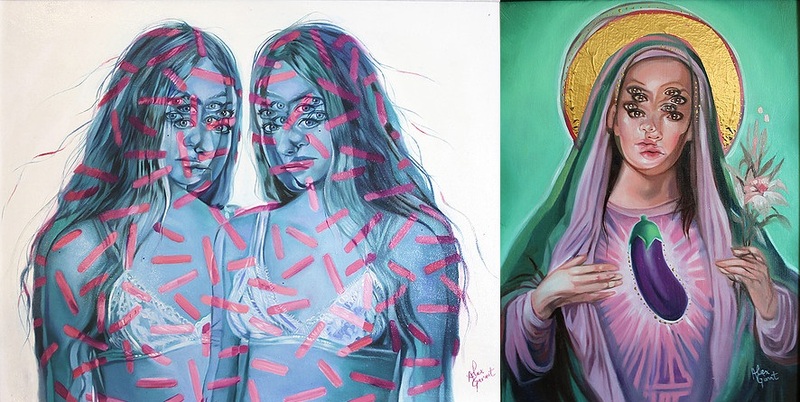 Today Art-Sheep features a very different type of artist. 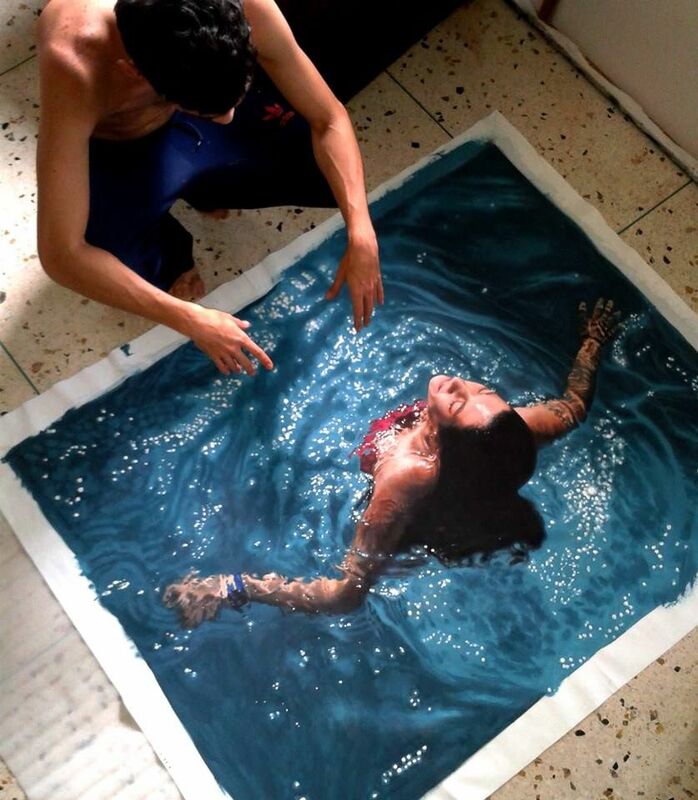 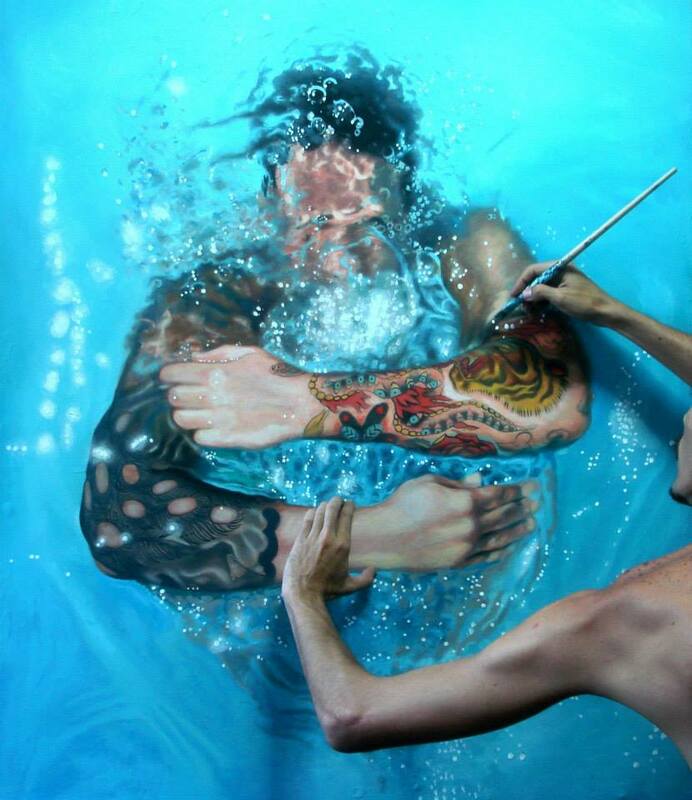 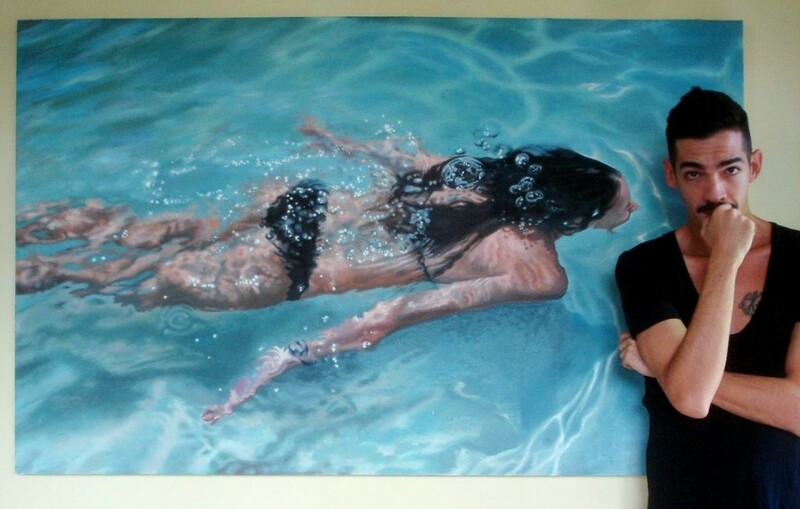 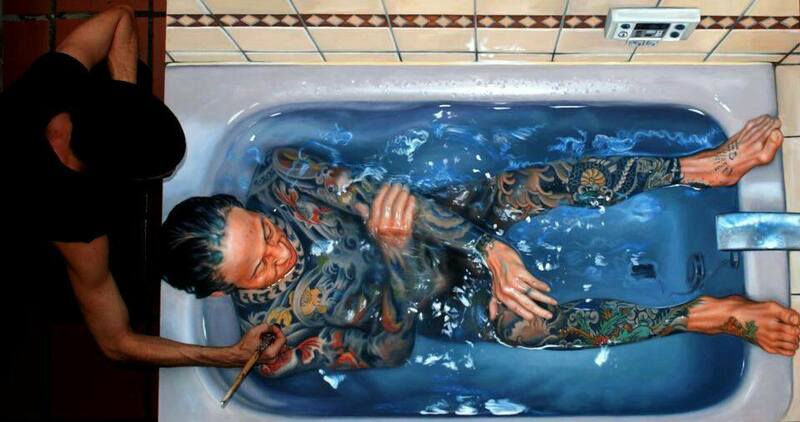 Not only does he exquisitely paint hyperrealistic paintings of swimmers, he also poses next to them or interacts with their dives and splashing around. 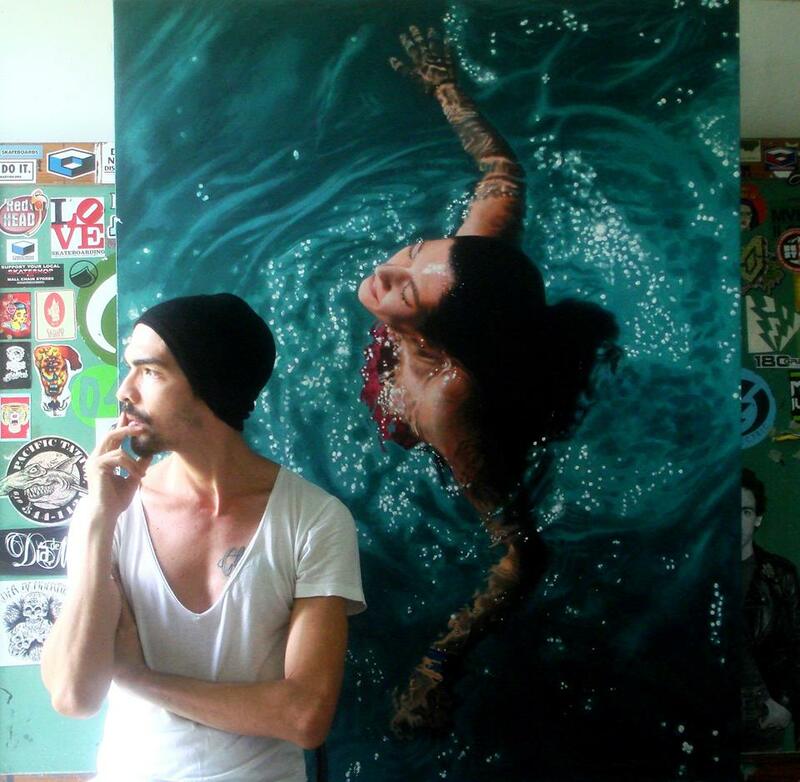 Gustavo Silva Nuñez a Valencia, Venezuela-based artist pays extreme attention to even the slightest detail while creating his paintings. 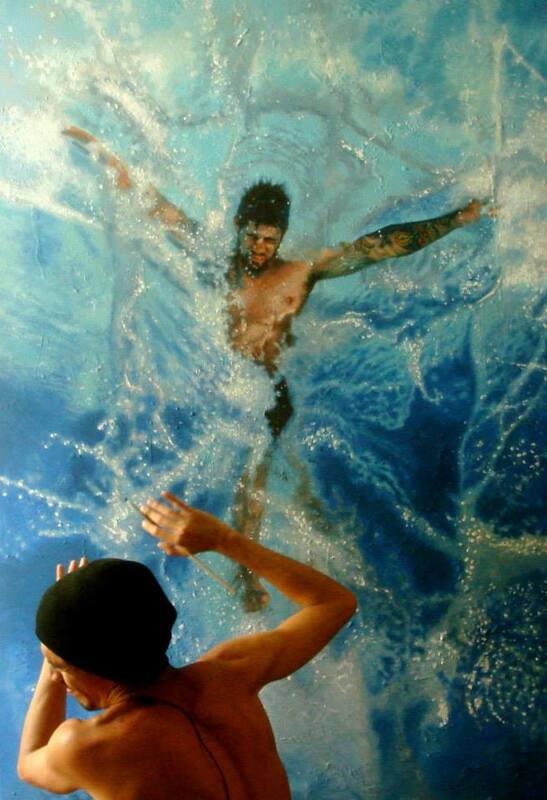 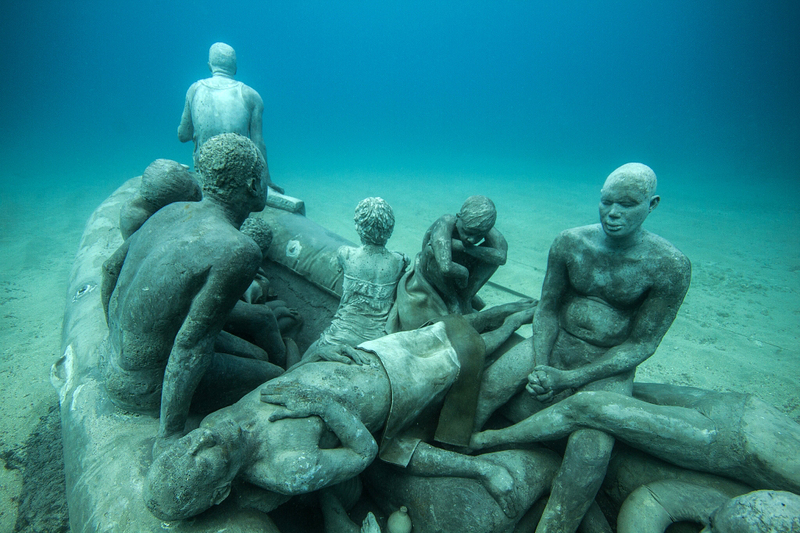 Focusing on underwater swimming, the artist depicts swimmers while taking a dive or surfacing. 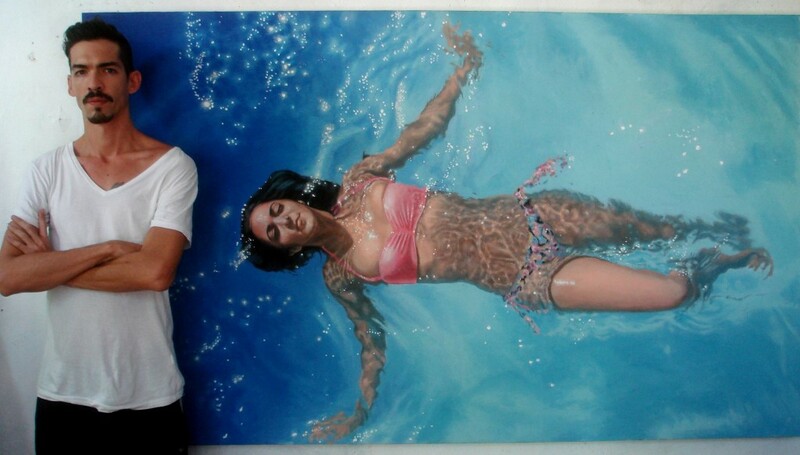 His subjects are gracefully painted, with the artist’s brushstrokes being almost transparent. 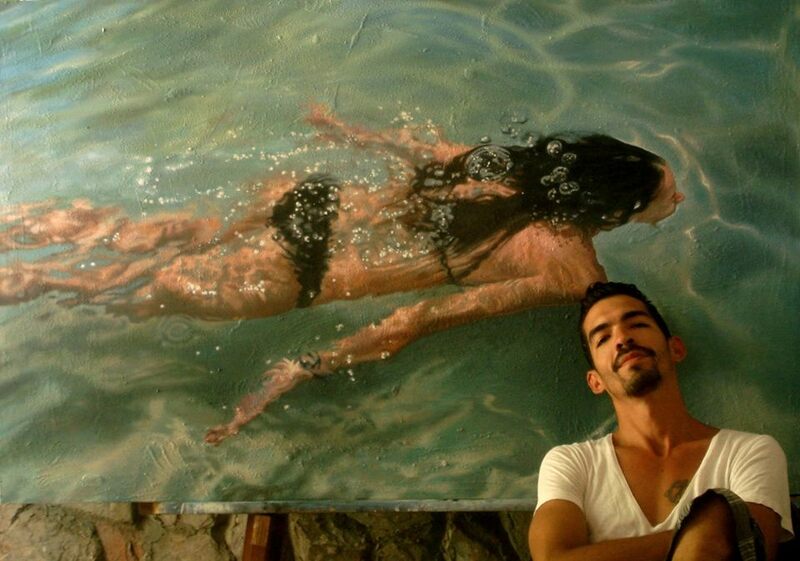 The way Nuñez paints the water, the light reflections and the distorted underwater bodies, gives the viewer the impression that he is looking at a photographic work. 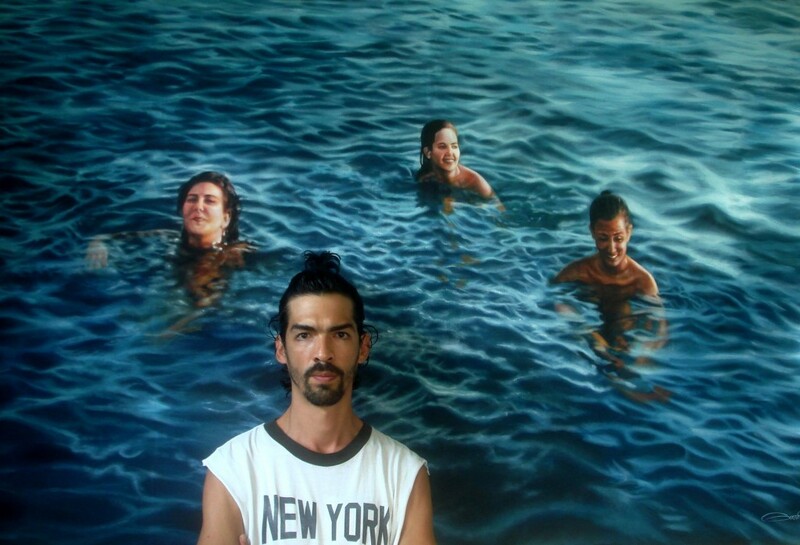 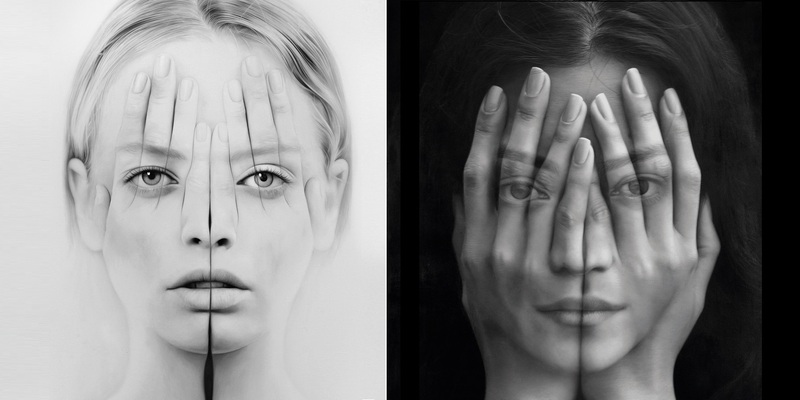 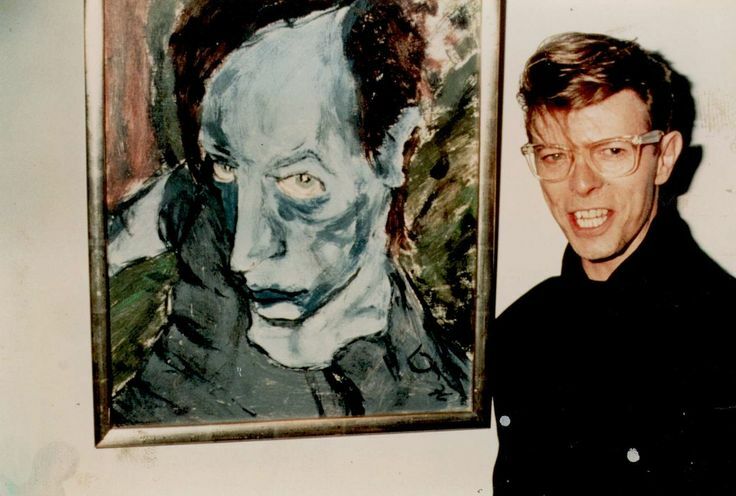 By posing in front of and with his paintings, Nuñez creates more dimensions to his work, as he interacts with his characters, making them look like they are emerging from the paintings. 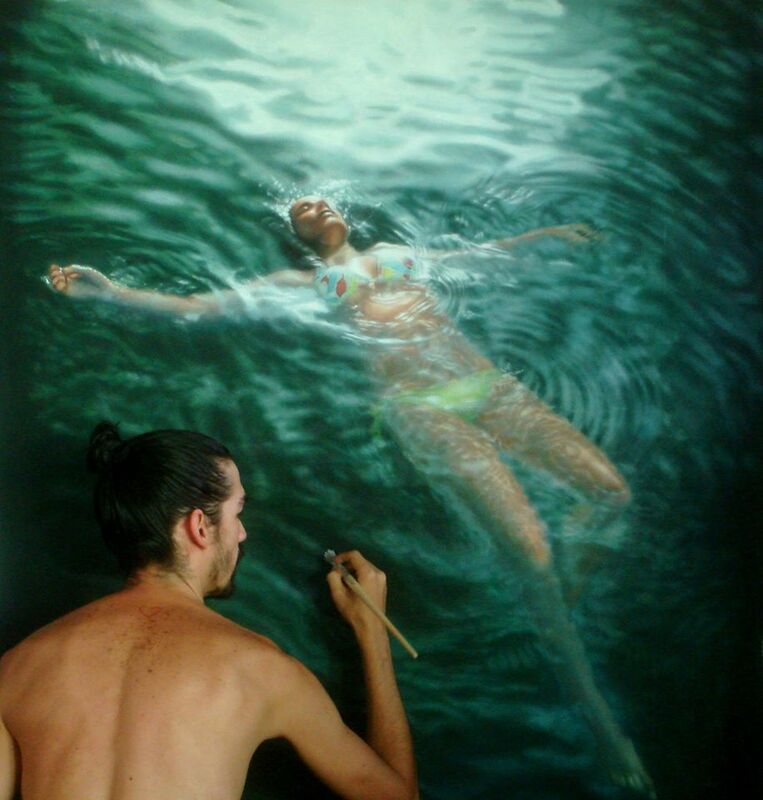 The shocking level of hyperrealism in his paintings, in combination with their smart installation create a genius visual result, proving Nuñez’s artistic skills and creative ideas.